If you missed the first part of our ski trip and why we love private lesson you can check it out HERE. The second part of our trip was all about family time. 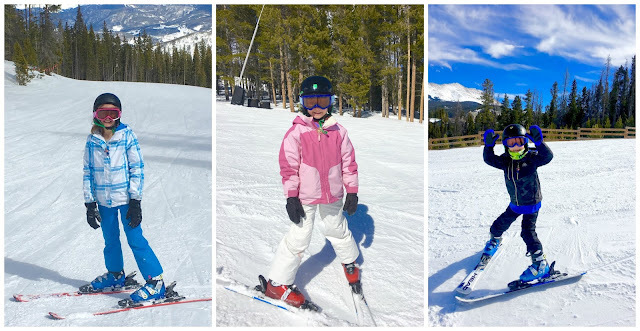 The kids skied with their ski instructor the first two days and the second two days they were with us. 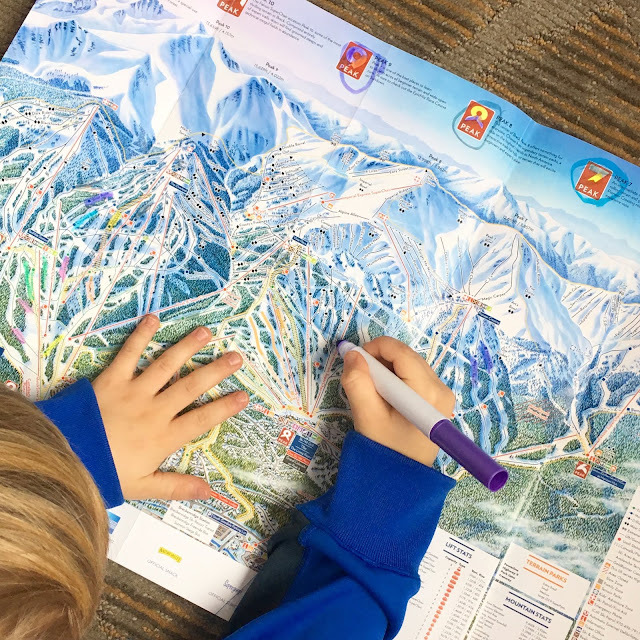 We confirmed what we already knew...ski lesson are worth every penny. 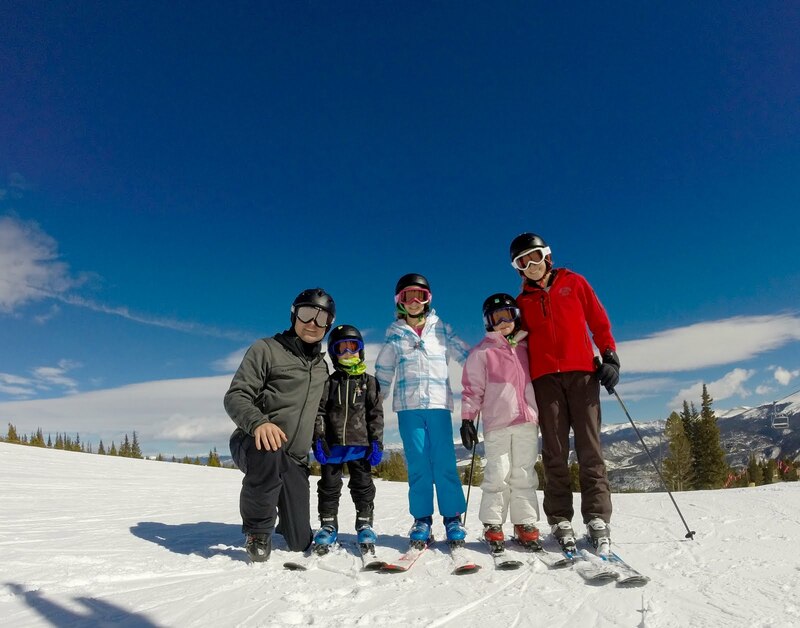 We love skiing together as a family, but it is not easy. 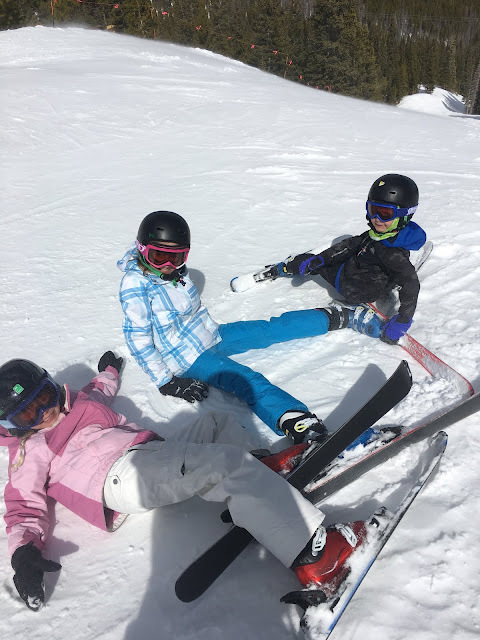 Kids fall down, someone gets upset, skis fall off, we slow down the lift lines, etc. It is all a challenge. Parents are the ones that that have to help with all those little mishaps and when you are on skis on the side of the mountain the little mishaps can feel like big ole problems! At one point I was trying to help one of my kids get back on their feet and ended up falling over myself which caused us both to get tangled. However, the reward is worth it - three confident and competent skiers! Except when I want to take a picture of all of them. Ha! We had gotten them all lined up for a picture and then all of the sudden a huge gust of wind came and literally knocked them all down, tangling their skis. They were all cracking up! 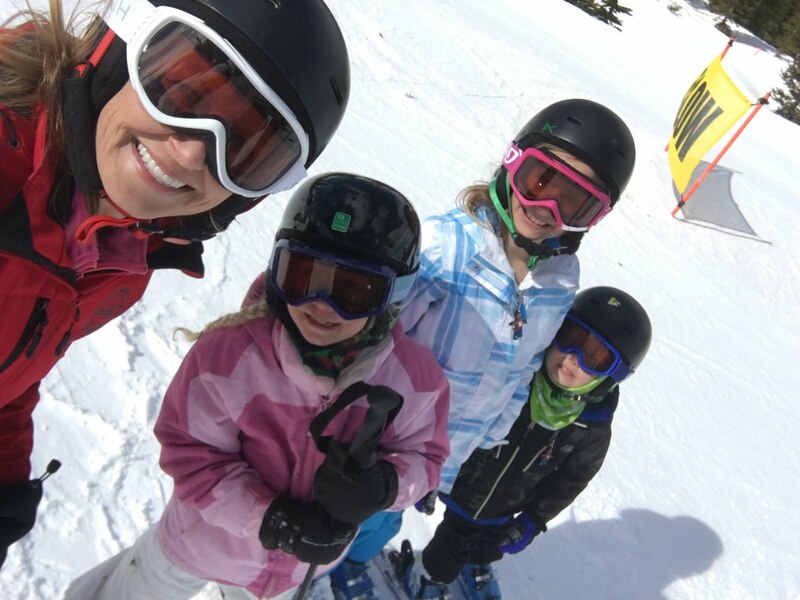 Seriously though, skiing together as a family is one of my very favorite things to do for a family vacation. We are outdoors, being active, having fun and making memories. 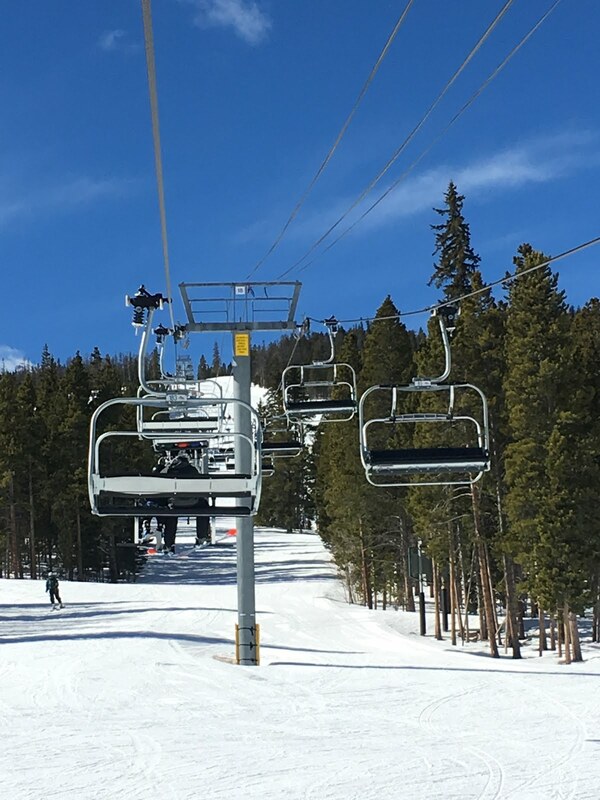 Boo-Boo was a little hesitant at first to leave the comfort of the runs he had been doing with the instructor so the Mr. had a great idea that worked to encourage him. We got him his own trail map and at the end of each day he highlighted/colored the runs we did that day. That helped him see how much of the mountain he conquered. Generally, when we take family trips we let the kids each pick one souvenir. After dinner one night we walked around town and popped into a lot of the little t-shirt shops on the hunt for the perfect souvenir for each of them. I loved this evening so much because there is something so magical walking around a town covered in snow and filled with twinkling lights. Some people will totally disagree with me on this, but I would much rather stay in a hotel over a condo or house when we go on vacation. Yes, condos offer more space, everyone can get their own rooms, spread out and have more privacy. But what fun is that? I told my family over this vacation that staying at a hotel is kind of like camping, but with electricity, running water, and a bed. They all laughed, knowing I don't love camping, but that I do love hotels. 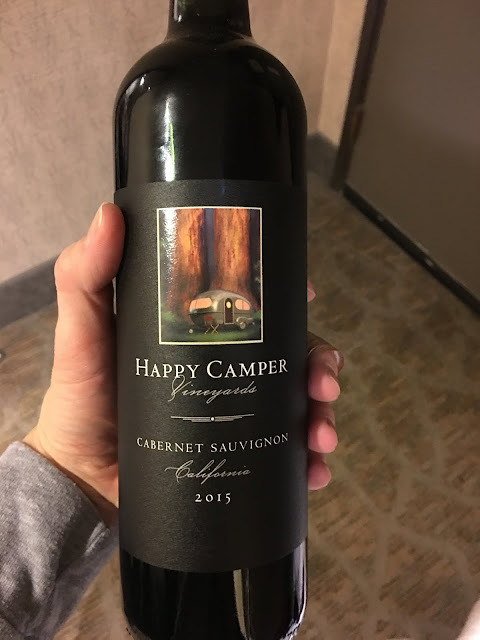 The next day when the Mr. ran out to get a few things from the store he got me this wine. He knows me well. Wine + a hotel vacation = happy camper. 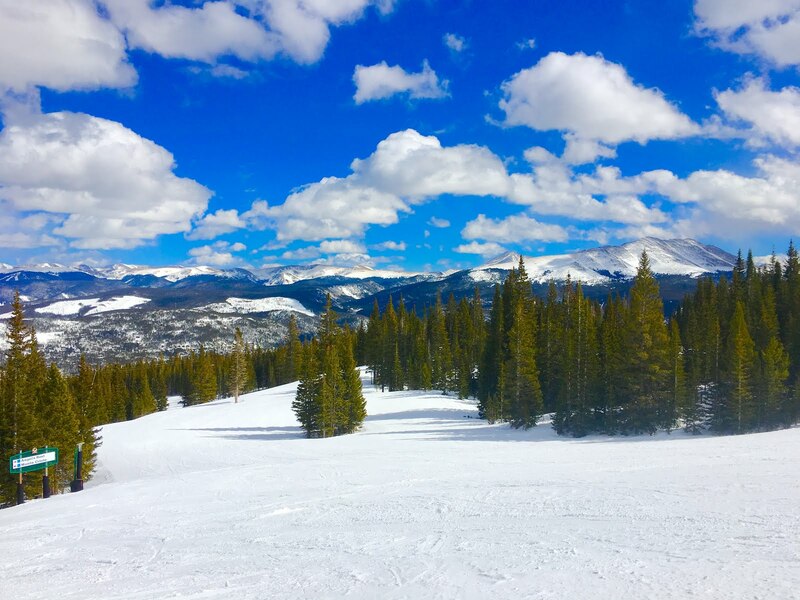 Yesterday I shared my top 5 reasons for doing private ski lessons and today I thought in today's post I'd share my 5 reasons to stay at a hotel. 1. It's really a vacation. - If we stay at a condo, I end up doing the same things I do at home. Laundry, making beds, picking up after everyone, etc. At a hotel I don't have to do that because it either isn't an option or someone else does it for me. 2. Family time. - Kind of like camping, right? If we had our own rooms we'd be spread out and would probably be doing our own thing, but in one room we are forced to spend time together. 3. Forces us to get out. - Because we just have one room in a hotel it forces us to get out and explore. You don't want to sit around in the room so we check out the lobby, the activities offered by the hotel, and the town. 5. Elevators, room keys, and other silly things. - It sounds trivial, but my kids love hotels maybe more than I do. They love pushing buttons for the elevator, they love using the room key to get in the rooms, they love going down the hall to fill up our ice bucket...they love it all! It's so fun for them to get to do silly little things like that might not even be on an adults radar, but it makes vacation fun and exciting for them. 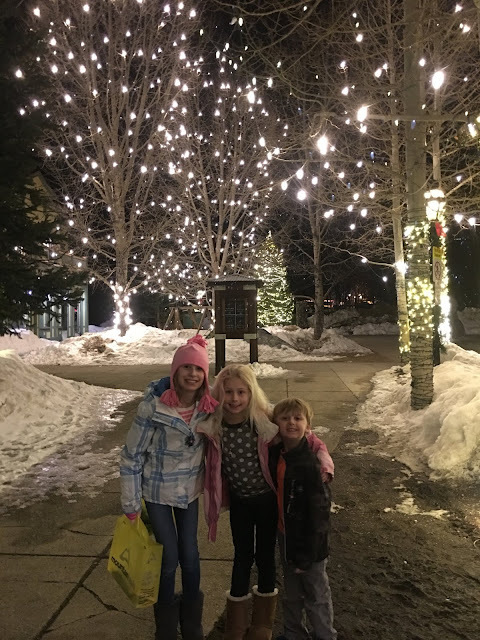 We stayed at the Double Tree in Breckenridge and it was really nice. Our room had two king beds, which was plenty of room for our family of 5. We loved it because all we had to do was walk right across the street and through parking lot and we were on the slopes. It was no further than the walk we did last year from our "ski in/ski out" condo. And a great thing they offered was ski equipment valet. Not sure if that is exactly what it was called, but that is certainly what it felt like. Each day after skiing we just had to put our skis together and tell them our room number. 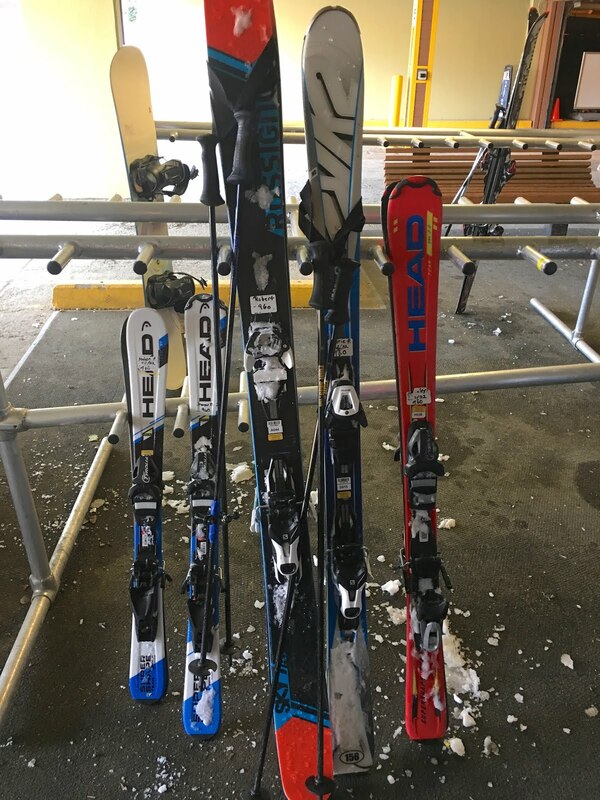 They dealt with the ski lockers and keeping them together. Then the next morning when we wanted our stuff back we just told them our room number and our stuff appeared. It was so nice! 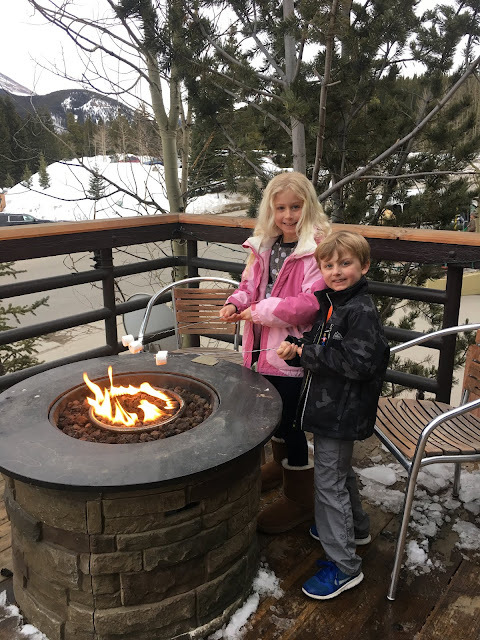 The hotel had a restaurant and a deli on site, they had smores every afternoon, which the kids loved, and a heated pool and hot tubs we visited every afternoon. The lobby had big fireplaces and comfy leather chairs and sofas with lots of games. 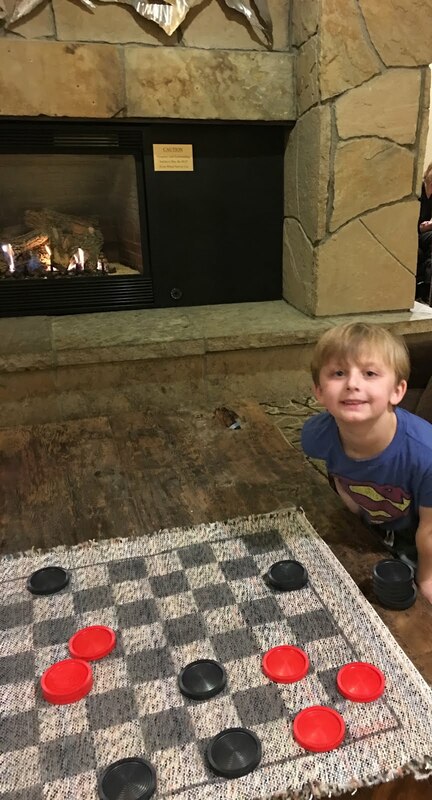 Boo-Boo loved playing big checkers, so we played it every chance we got! 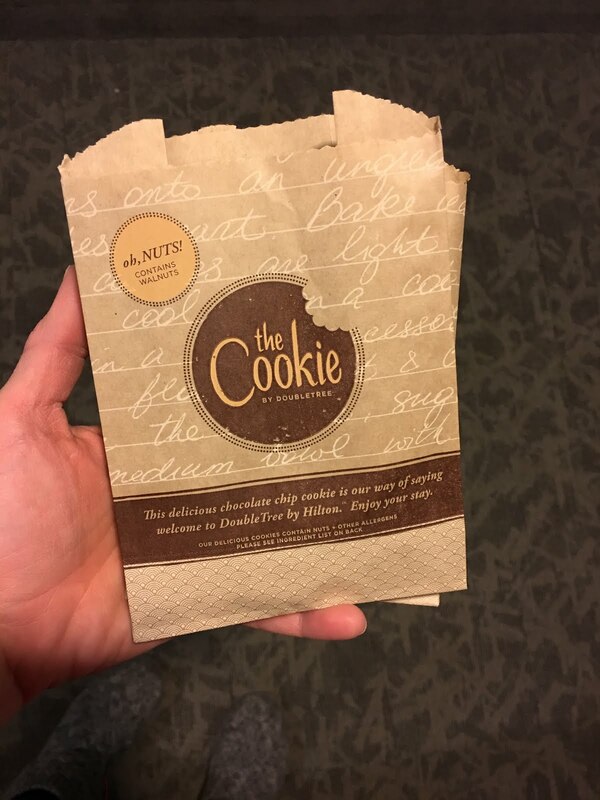 And anyone who has stayed at a Double Tree hotel before know about there signature cookies. Warm cookies are available for anyone who wants them, 24 hours a day. Every time we walked by the front desk the kids would ask for a cookie as if we were at Publix or something. Hard to pass up a warm cookie though! Tomorrow I'll be sharing about our very last day of our trip when we went snowmobiling through a National Forest so be sure to check back!